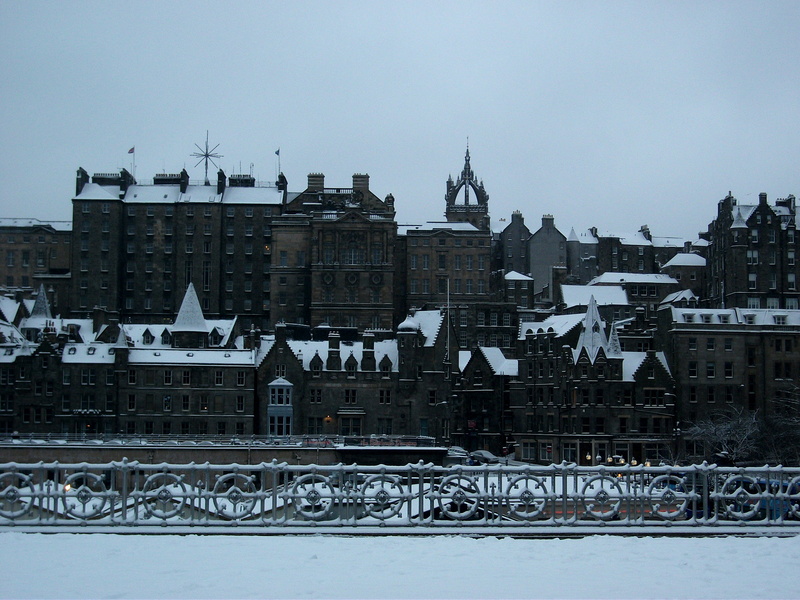 Edinburgh came to mind roughly five minutes after I first thought of my book’s main premise – that of a Victorian X-Files – and I was surprised that such a wonderful setting has not been used more often in historical fiction. In the present-day there is Ian Rankin’s brilliant Rebus series, but Edinburgh seems a somewhat forgotten historical stage. The city is the perfect setting for a mystery story. It has the gothic architecture, the spooky graveyards, the gloomy fog, the gruesome old tales of people being disembowelled at every other street, and the narrow closes with that mysterious tension that makes you feel like someone could jump out at any moment. I love the city so much, in fact, that setting my novel there was partly an excuse to go there for “research”. My first trip there is still vivid in my memory. It was early March and I had never felt so cold. 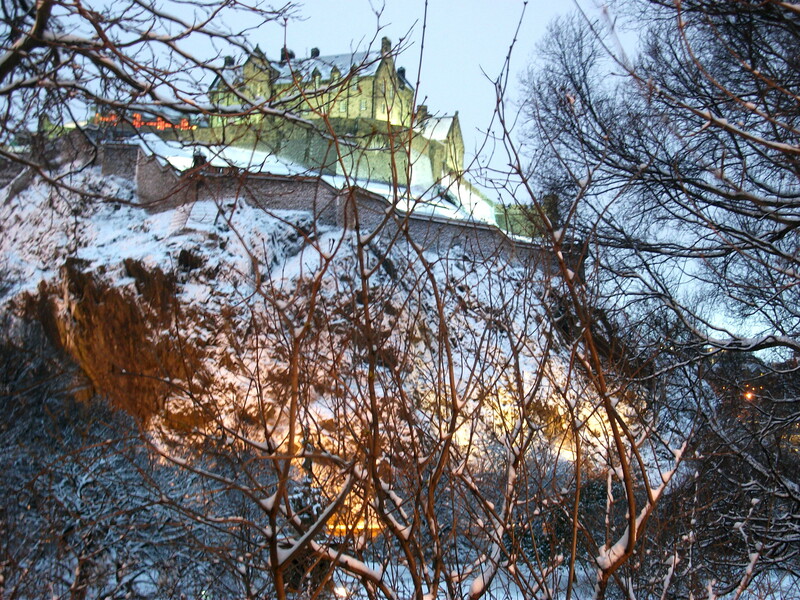 Walking out of Waverley train station the very first thing I saw was Castle Rock, lightly dusted with snow. For someone that grew up in Mexico City, this meant stepping into the most exotic of landscapes. I spent most of my childhood reading about the UK – Sherlock Holmes, Dracula, even the Bennets – and had a very romanticised image of Britain – yet Edinburgh completely lived up to it. One of the most enjoyable parts of my research was getting lost around the city and stumbling upon locations I could use. Walking down those cobbled streets is a gift for the imagination: I could instantly picture the snobbish Londoner Ian Frey, one of my two main characters, a long way from home in this strange new city. Back in the 1880s Edinburgh was a place of stark differences. The rising Industrial Revolution was squeezing the populace with sweatshop labour and germ-infested dwellings – a situation that echoes the reality of many cities around the world today (wink, wink, Mexico City…). 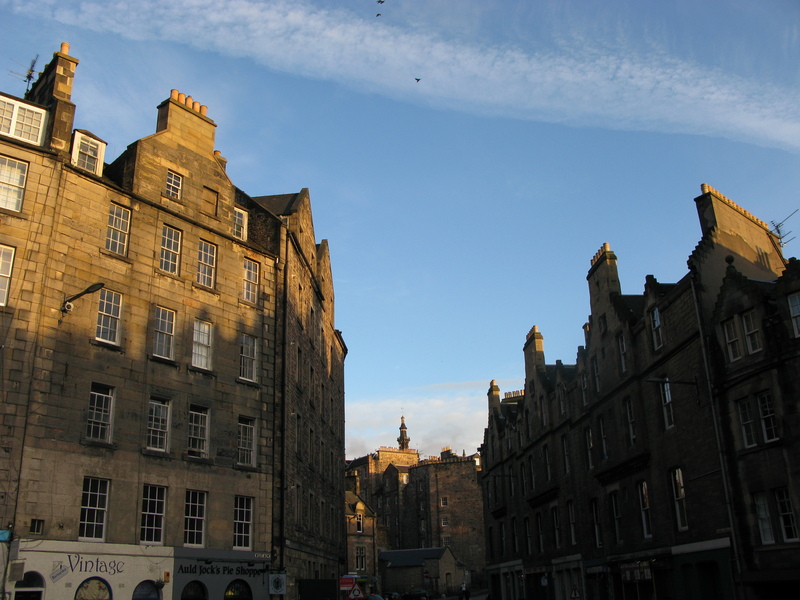 The poor had their place, but also the rich, and Princes Street effectively divided the city in two: to the south were the medieval, terribly cluttered slums, and to the north were the opulent Georgian mansions and manicured green squares. 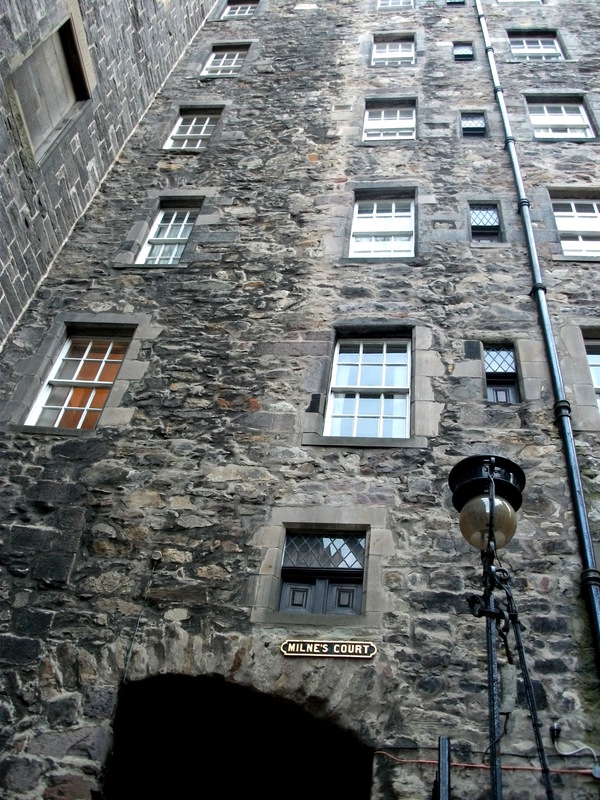 A few steps from Edinburgh’s Castle, just off The Royal Mile, is the very picturesque Ensign Ewart pub. That is where I first tried haggis, nips and tatties, lovely and warm in that frosty March. However, I must apologise to its managers: Frey and his new boss Nine-Nails McGray get into a bit of a scrap there, using their fists to scare away a gang of drunken thugs. I assure you, the place is much nicer these days! I strived to show the darkest corners of this incredibly evocative place as well, but that meant sometimes I had to get creative. Like many places in Britain, there are various ghost tours on offer, and I signed up to one as my only method of accessing a cemetery at night without risking prosecution. I really wanted to soak in the eerie atmosphere but. unfortunately, two Mexican friends tagged along (after having had a few drams) and with a guide from Barcelona the ghostly experience soon morphed into four merry Latinos laughing too loudly at silly jokes amidst Calton Hill’s tombstones and magnificent views. Quite rightly, I’m far from the only one charmed by the Scottish capital. When I had to write without being there I got inspiration from the French animated film L’illusionniste, set almost entirely in Edinburgh. The backgrounds throughout the movie look like beautiful watercolours you just want to frame on your walls. I watched it before writing this article, and now I’m really looking forward to going back to scout locations for Frey and McGray’s third book (the second will primarily take place in another very exciting location). While working on that I might visit the café where JK Rowling wrote Harry Potter, and have a leisurely drink at the Balmoral Hotel. Oh, and the best Mexican restaurant in the UK – Viva Mexico – also awaits! Thank you to Oscar for this entertaining piece – I too am guilty of strategically setting my novels in cities I love as an excuse to keep going there for research! 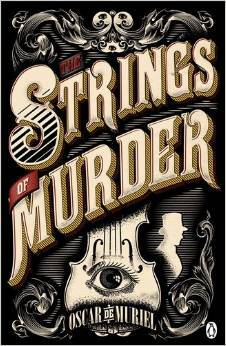 The greatest compliment I can pay any long (or longish) novel is that it doesn’t feel like one, and that is true of The Strings of Murder. It opens with a cracking prologue and when the story itself begins five years later in 1888 it never lets up: I found myself gripped by this sinister and tortuous mystery in which the musical theme is an unusual touch, expertly deployed. The author successfully captures the atmosphere and dichotomies of Victorian Edinburgh but even more impressive (and almost unbelievable, for someone writing in their second language!) is his mastery of voice, dialect and dialogue. For me the outstanding feature of this novel lies in the rapport between hard-boiled Detective ‘Nine-Nails’ McGrey and the fastidious and proper Inspector Ian Frey, which frequently made me laugh out loud – that’s when I wasn’t being scared witless or made to feel violently ill. Two urgent requests: for the next volume and the brilliant film or TV series this would undoubtedly make. Thank you for the many kind messages I received following last week’s post – it’s an ongoing situation but I aim to carry on as normal, as far as possible. 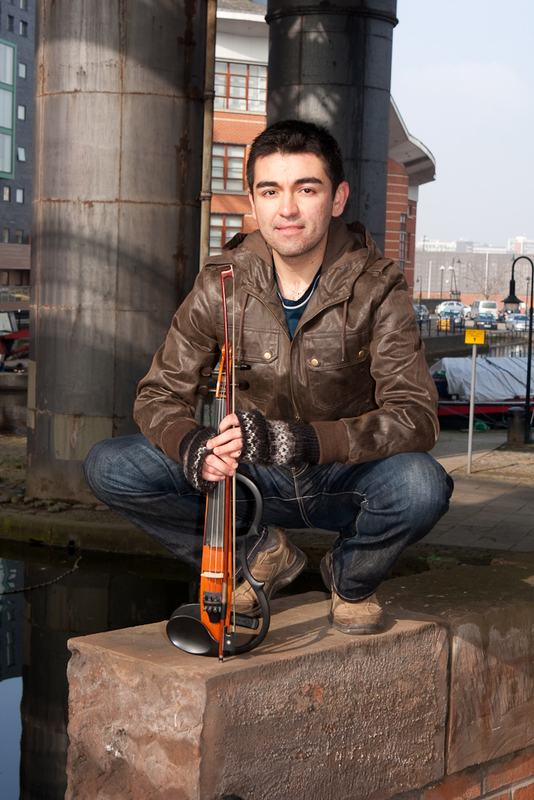 Sticking with Salisbury, next week’s guest author is Alex Christofi, whose debut GLASS is also out today. He’ll be writing about the spire and Shard that inspired the book. A Mexican chemist in Edinburgh – I love it. You do meet some fascinating people. Oscar should also visit the Oxford Bar, where Rebus drinks (and Ian Rankin, on occasion!) I got refused this on NetGalley, irritatingly. We used to stay at my Gran’s friend’s house in the New Town, she had a beautiful townhouse there, when I was a child. It was lovely – and I could imagine it hadn’t changed much over the years – it was called Doune Terrace, I think. V posh; all the other houses had been converted to lawyer’s and accountant’s offices. They weren’t particularly rich – her husband was a policeman – but they’d owned it since they were married. I’m sure you will love the book with your close connections to the city! Re NetGalley, I’ve also been refused titles I was really interested in even though I have never been refused a hard copy proof if they were available. Shortsighted, as my attention just moves onto another title!